have to offer an eager and ambitious pinniped. It is uncertain whether he was heading for admissions or the cafeteria. The surprised staff at the school called in the San Diego County Sheriff's Department to investigate the intruder on their campus. 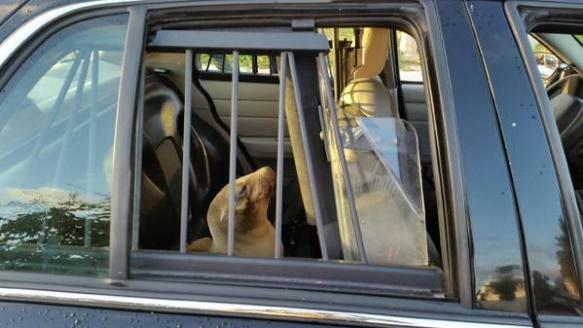 Deputies detained the sea lion in the back of their car until animal control officers and SeaWorld employees showed up to care for the creature. 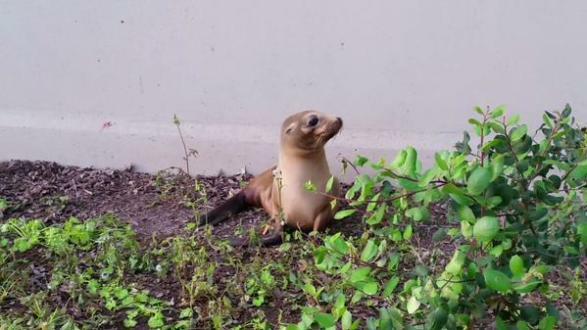 Suffice it to say that the sea lion's first day of school ended in detention and expulsion. Perhaps college would have worked out better for him.